Fourteen Burnaby Squadron Volunteers helped out for the day on Thursday, December 12th, at the ‘Toy Distribution Room’ of the Burnaby Christmas Bureau, filling bags with toys and other goodies. 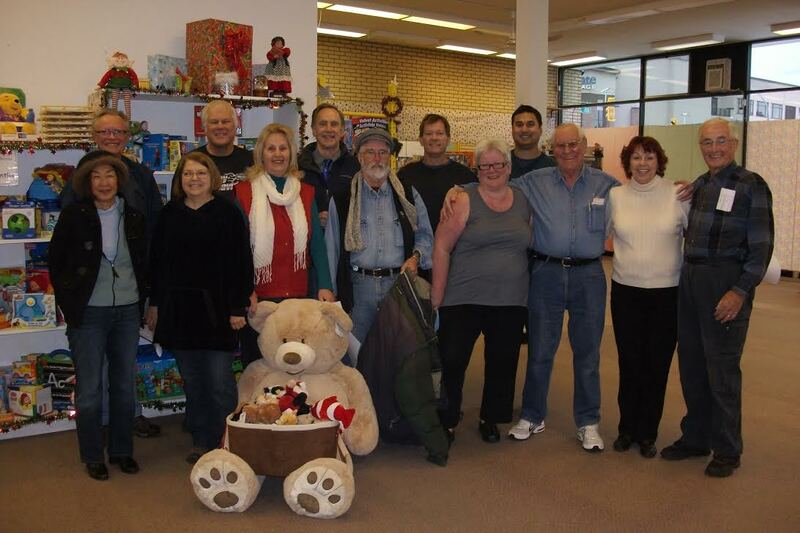 This was our 9th year volunteering at the Christmas Bureau, with hopefully many more to come! Barb and Steve Erickson, Burnaby and Seattle Squadron Members, drove all the way up to help out! Much appreciated! Kudos once again for all the great people at the Burnaby Christmas Bureau that make this all possible! Dave Holbrook 6, Cosimo Petruzzelli 6, Barb Erickson 8, Steve Erickson 8, Darlene Wood 4, Ann Kingsley 6, Rita Petruzzelli 3. BPSS was also recognized by Burnaby Now for our hard work this season. Follow this link to that article.